Disruptive weather is forecasted to hit New Zealand in the coming days. A cold system is heading towards the entire country, bringing severe weather. Beginning on Tuesday, strong Southerly and South Westerly gale force winds are expected, bringing frequent showers, snowfall and possible hail. 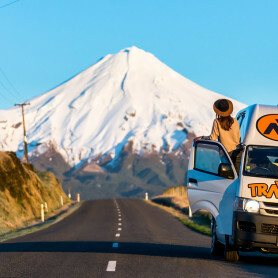 The South Island will be the most affected, with snow expected to fall down to 100 meters in areas such as Southland, Clutha, Fiordland, Otago, and possibly Canterbury. Late Wednesday or early Thursday snow levels will gradually rise. 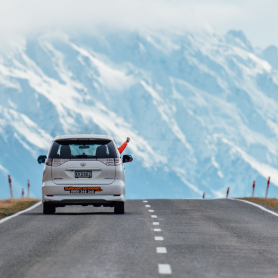 Road conditions – All major highways running through the South Island are expected to see snow at some point. 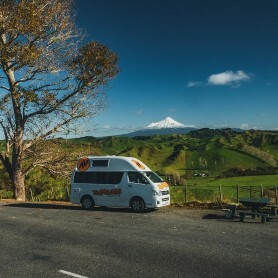 Prior to commencing your trip, we recommend you check the AA’s Road Conditions Report https://www.aa.co.nz/travel/roadwatch/. This will provide you with up to date information on road conditions on your intended route. 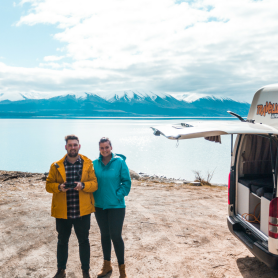 Camping/Accommodation – If you are camping or sleeping in a campervan, you may want to think about alternate accommodation in motels or backpacker hostels. Floods – In the case of heavy rain, DO NOT attempt to cross a flooded roadway. Snowfall – Do not drive through snow on the roads, or drive during times of moderate/high snowfall. Avoid snow sightseeing until the system has passed. Strong winds – Be mindful of where you are parking your vehicle, watch for trees and overhanging branches. Weather – Visit http://www.metservice.com/warnings/severe-weather-warnings for the official New Zealand weather forecasts. Please take care during your travels and keep in mind that mainstream media and weather predictions can often be over exaggerated. Most of all, don’t let the poor weather ruin your holiday, it will soon pass so you can keep on exploring!